Have you ever thought about letting the tooth fairy celebrate the holiday with you? 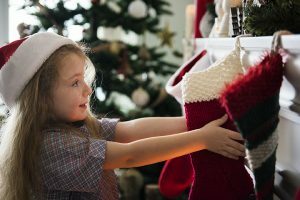 Beausejour Dental Centre suggests these tooth-friendly stocking stuffers for a holiday anyone (and their oral health!) will enjoy! Mints and gum can have hidden sugars, but anyone can enjoy fresh breath between meals on-the-go with sugar-free breath freshener. There are also plenty of minty and refreshing beads, bursts, and strips on the market, that serve well for anyone spending their day out and about! It’s important to make oral health and wellness something to be excited about, for little ones especially! Consider a new light-up or musical toothbrush, or some fun new flavors of toothpaste to jazz up teeth-brushing time for your kids. The tooth fairy tradition is something many kids look forward to after they’ve lost a tooth – why not heighten their anticipation even more, by presenting them with a special tooth fairy pillow this holiday? Losing baby teeth is a right of passage for many children, and you can create a personalized experience for your kids by giving them the opportunity to send their teeth off in style! Did you know that the tooth fairy and Dr. Seuss are good friends? There are plenty of books about teeth that your kids, or friends and family with children will love, especially one by this famous rhyming author that helps kids learn about keeping their teeth healthy! If you have questions about tooth-friendly stocking stuffers for your family, or to schedule your next appointment with Beausejour Dental Centre, call 204.268.1782 today!